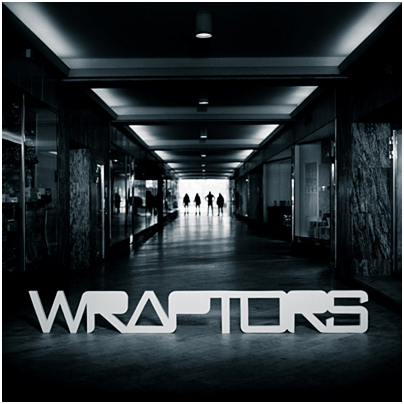 "Held High" is the debut album from Swedish band Wraptors. The band talk about not following rules, well that may be the case, but the album feels like they are sometimes doing things just to be different and as a result the music feels disjointed and fails to flow. You get brief bursts of something that sounds great, then the tune shifts and spoils what was starting to be a promising song. The bands website comments "When death metal guitarists join forces with an awkwardly tight rock rhythm section the outcome is something completely different". Well from listening to this album, sadly it would appear that what happens is that any death metal influences are thrown in the bin, leaving behind a fairly bland indie/prog rock album. I was very disappointed by this album. I have very diverse musical tastes and like many of the bands listed by Wraptors as influencing their sound - Rush, Cheap Trick, Frank Zappa, Fugazi and Voivod, but I just couldnt enjoy this album I'm afraid.